U.S. Games Systems, Inc. is very pleased and proud to announce that Cat’s Eye Tarot has taken top honors in the 2012 Reader’s Choice Awards for Best Tarot Deck. 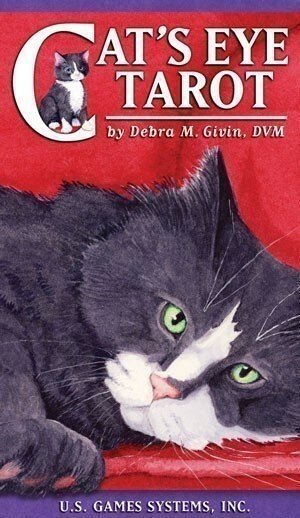 Cat’s Eye Tarot, created by cat-lover and veterinarian Debra Givin, has received a warm and fuzzy reception by tarot aficionados everywhere. Every card in Cat’s Eye Tarot tells a story, illustrated from a feline point of view. Cat’s Eye Tarot was one of scores of tarot decks nominated by readers for the Best in Divination Decks, which has a tarot and a non-tarot (Oracle deck) category. Readers’ votes determined the five finalists, of which, three tarot decks were published by U.S. Games Systems. In addition to Cat’s Eye Tarot, finalists also included Crystal Visions Tarot, by Jennifer Galasso, and Joie de Vivre by popular artist Paulina Cassidy. Crystal Visions Tarot and Joie de Vivre Tarot were also named in Aeclectic Tarot’s Top Ten decks published in 2012. In the Reader’s Choice Oracle deck category Tea Leaf Fortune Cards by Rea Hepburn was a finalist and came in second place. 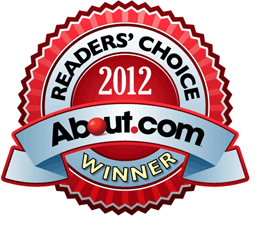 The Reader’s Choice Awards program is conducted by About.com as a way for their readers to share their opinions about their favorite products, services and innovations with About.com Guides and with other users. This popular reader-driven awards program began in 2008 and has expanded to highlight the best products, features and services across a wide variety of topics. This year the Readers’ Choice Awards showcased the best in hundreds of categories including Spirituality and Healing. Winners were announced March 30th, 2012.